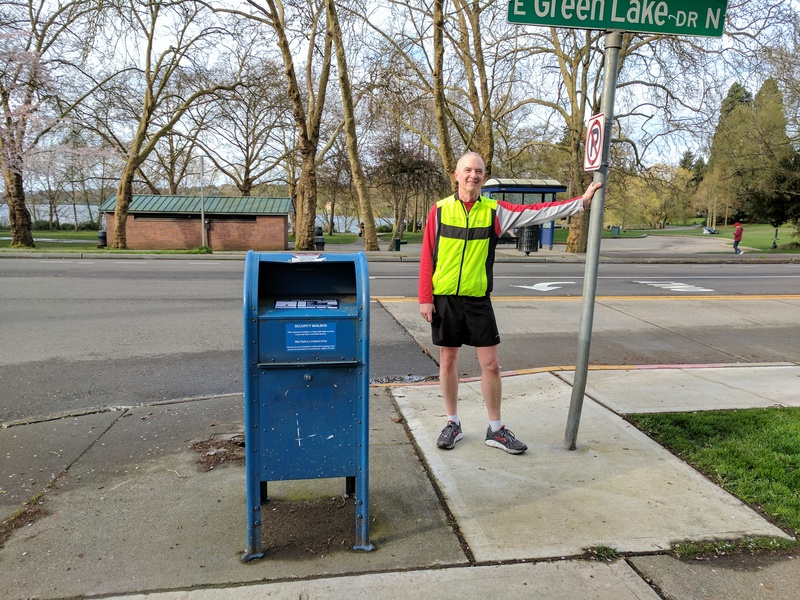 51) Running Series (8/9): We return to Green Lake proper with this box situated across the street at the intersection of E Green Lake Way at Stroud Ave N. There’s a chocolate shop right next to this box, and I thought about asking if they’d loan me a big tray of candies that I could roll around in for the shot. I figured it would be good exposure for them. I was talked out of even asking about it.